I’m Jessica Blaynee, a senior user researcher in HMRC’s Manchester digital delivery centre. 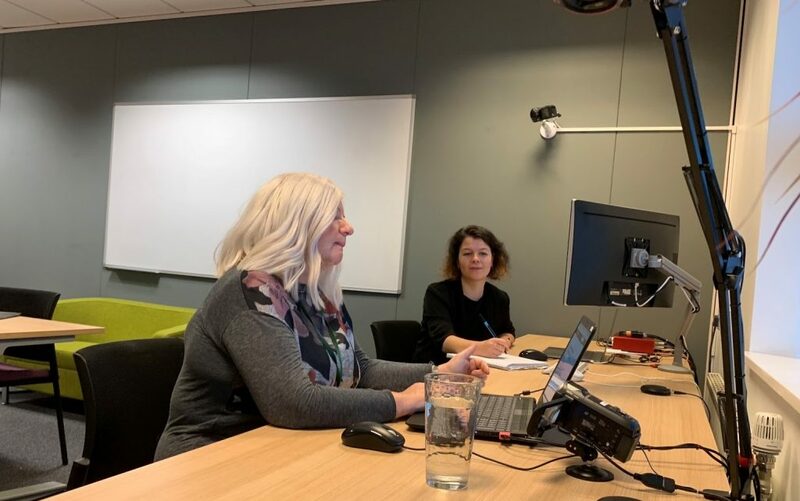 One of the best things about working in user research at HMRC is the commitment to making sure we have the right tools, facilities and operational support to get our job done. This means we can really focus on what’s important: performing high quality research to better understand our users’ needs so we can develop the best services for them. So I’m very excited about the newly opened dedicated user research lab in Manchester, that I led the development of in the past few months. All of our major digital centres now have labs, which can be booked by any HMRC researcher across the country. This means we no longer need to pay to hire commercial labs for our research, and we’ll be able to carry out research in less time. 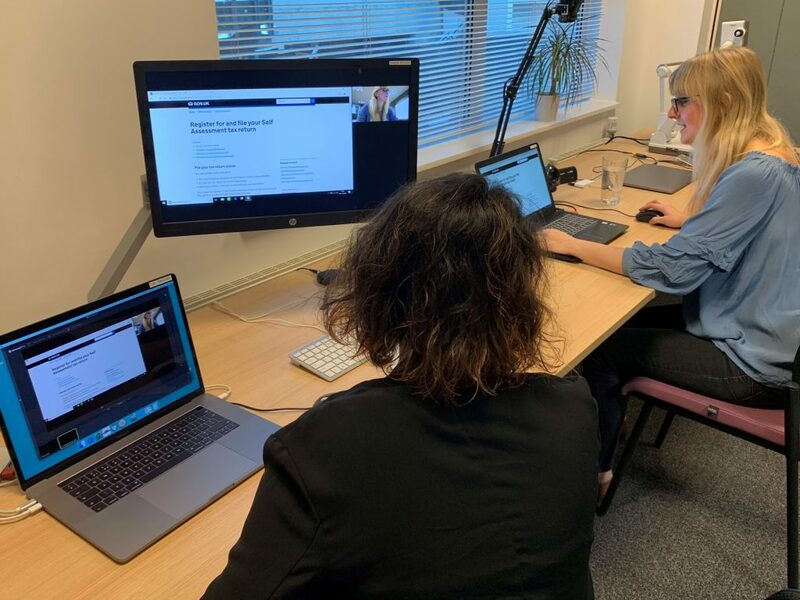 Even more importantly, having our own labs makes it easy for teams and stakeholders to observe our research, bringing them closer to our users. In planning the lab, we spent time learning what has worked and not worked in other labs around HMRC, wider government and the commercial world. It’s been a real team effort, too, with great support from our small team here in Manchester, from our Research Services team up in Newcastle and from our brilliant technical expert Ube. The lab is located right on the edge of Manchester city centre, on the doorstep of various different service users - members of the public, people in financial services, business people, and HMRC staff themselves. It’s a large and flexible space, where we can use a range of research methods from usability testing and interviews, to design activities and small group activities. There is a video link to an observation room next door, along with the capability to remotely view sessions from other off-site locations. We have a range of devices, meaning we can test with whatever kit our users are most comfortable with: Windows PC, Mac, phones or tablets. We also have a document scanner so we can zoom on details on the screen to help us understand forms, letters and any other paper-based parts of the customer journey. We have 12 pre-set variations of video capture depending on the research need, using picture-in-picture, room cameras and document cameras, all easily controlled by the researcher. There are four omnidirectional microphones in the room to ensure we capture everything our users say during sessions. Our next steps are to add full support for accessibility testing, and to develop an ‘empathy space’ where anybody in the centre can try assistive technology for themselves. If you’re in another government department in Manchester, or an organisation planning your own lab, and would like to have a look around, get in touch by posting a comment! We're always looking for people to help us. All the details are on our take part in user research page.